A Zionsville, Indiana elder law attorney at Frank & Kraft can provide personalized advice to those who wish to make plans as they age. It is imperative that you put solid plans in place to address the issues that could affect your future as you grow older. Depending upon your personal and family situation, this could mean making plans for retirement, taking steps to protect assets, building a legacy plan to provide for loved ones, specifying your preferences for medical care and more. 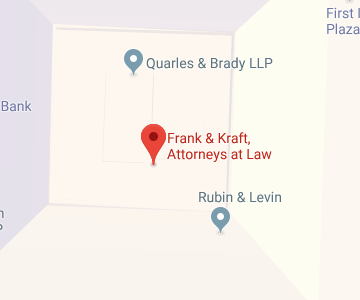 Whatever your situation, Frank & Kraft will help you to make effective use of the legal tools that you need to use in order to ensure that you are prepared and ready for whatever the future holds. You should give us a call today to talk with a Zionsville elder law attorney and get personalized advice. You can also take advantage of some of the resources below that will help you to be better prepared for the future as you get older. Zionsville is located within the southeast part of Boone County and it is considered to be a suburban area. As of the most recent census, the population was approximately 14,160. However, that census was completed in 2010 and the population has rapidly grown since that time. The 2016 census estimates for population in the area reached 26,784. Zionsville promotes the area as a tourist attraction in order to draw visitors in. There is a small downtown area that is styled as though it were a village, with paved brick streets, many retail stores and restaurants. Both visitors and locals alike enjoy visiting the quaint downtown area to take advantage of all that it has to offer. Within Zionsville, around 10.9 percent of the population was aged 65 or older as of the most recent census. When you begin to grow older, it can become more challenging to stay connected to your community. Maintaining these connections is vital because having an active social life helps you stay independent and healthy. It can also become more difficult to do certain tasks as you age, such as driving or cooking meals. Fortunately, there are programs and services that seniors can take advantage of in Zionsville so they can still keep these community connections, get help with basic tasks, and remain independent for as long as possible. One of the best resources for finding out about programs aimed at helping seniors is Boone County Senior Services, Inc. There are a vast number of programs and services offered by Boone County Senior Services, Inc., including events that seniors can attend, supportive services for caregivers, a friendly visitor program, homemaking help, personal and attendant care services, respite care for caregivers, a motor coach travel group, and more. Seniors can explore all of the services available through Boone County Seniors Services, Inc. to see if there is a program or a service that meets their needs. Sometimes, however, it will become necessary to get more help and support than can be provided through these programs. For example, nursing home care might eventually be needed as you get older, or you may require home healthcare aides to provide you with assistance. Frank & Kraft can provide help exploring your options for getting this care paid for and provided to you. Zionsville seniors need to understand Medicaid and Medicare policies so they will be prepared to cover the costs of nursing care or other care that they may come to require as they age. One big issue is that Medicare provides no coverage for custodial care, which is the kind of care that most often necessitates a seniors move to a nursing home. Medicaid does cover this care, but it is a means-tested benefits program so you won’t qualify if you have too many countable assets. Indiana’s Medicaid portal:This website provides information to both members and potential applicants. You can find out about qualifying for benefits, the application process, and the types of coverage available through Indiana’s Medicaid program. The website of the Indiana Department of Insurance: On the Department of Insurance website, you can find out comprehensive information about Indiana’s Medicare program. You can learn all about how to qualify for Medicare coverage, what steps you should take to get signed up and when you should go through the process, and what Medicare does and does not cover. Frank & Kraft provides personalized help with the process of making a plan to get qualified for Medicaid coverage so you can get the care you need paid for without having to impoverish yourself first. Another important resource to be aware of is the website for Boone County probate court. This website provides access to forms, information about e-filing, and details about the court house location and hours. Going to probate court could become necessary if your loved one has become incapacitated or has passed away without making an estate plan to avoid probate. Frank & Kraft can help you to take steps to make an incapacity plan and estate plan to help your loved one avoid probate court, or can provide representation if you must go to this court to handle estate issues. A Zionsville elder law attorney at Frank & Kraft can provide personalized assistance with Medicaid planning, preparing in case you need nursing home care, going to probate court, taking steps to help your family avoid probate court, and taking advantage of benefits available to you as you age. And these are just some of the many services that our firm offers. To find out more about how a compassionate and knowledgeable member of our legal team can help you, join us for a free seminar. You can also give us a call at 317-684-1100 or contact us online at any time for advice on making your plans for the future.